This is a six ounce can of Testors Aztek Airbrush Propellant. 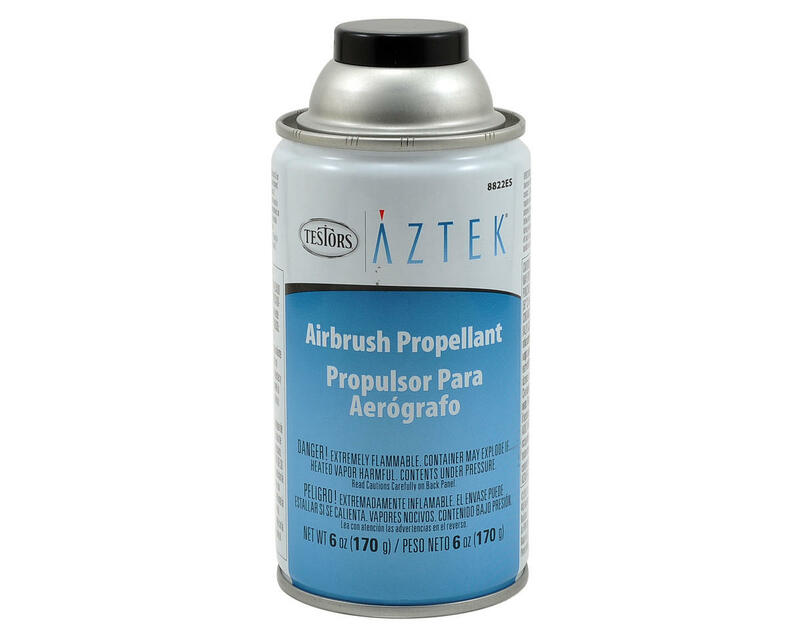 Aztek® 6 oz Propellants are for use with Aztek® and Testor® Airbrushes. Propellant is also great for makeup artists, nail techs, face & body painting, automotive touch up, hobbies & other on the go activities. Makes spraying possible when a compressor is not available. Is noiseless for photo shoots and film sets.